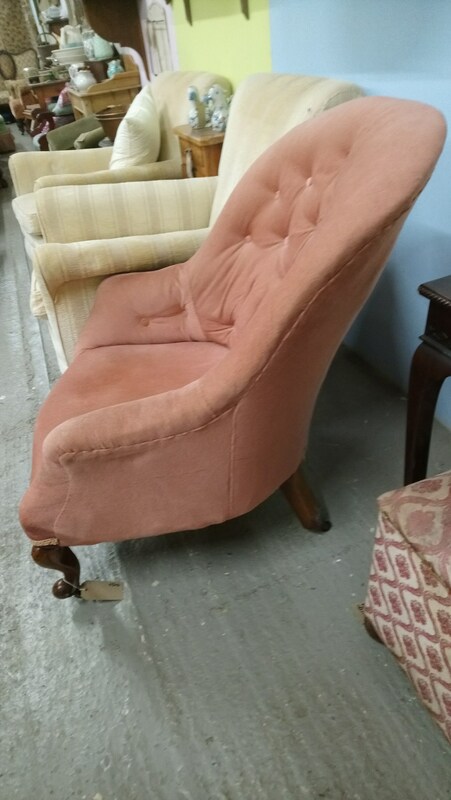 Antique Victorian traditional pretty button back armchair with shaped seat front and flared arms. 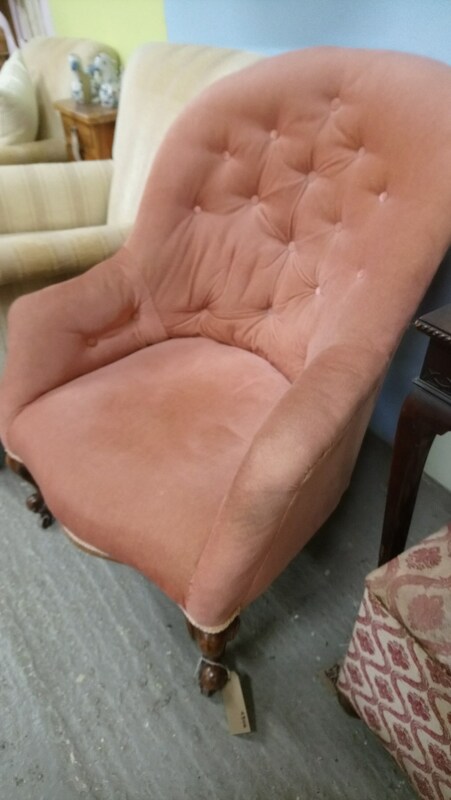 The current upholstery is in a pink velvet type fabric which is a little grubby and tired, the chair has mahogany carved and moulded cabriole legs which are very pretty. 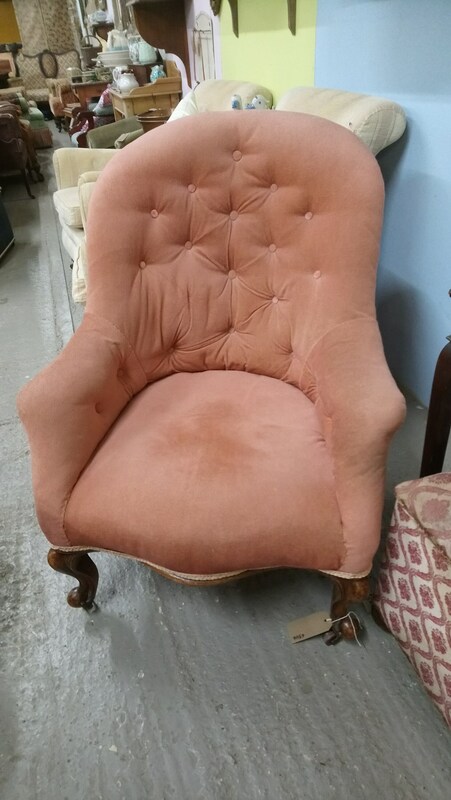 This chair would make a great upholstery project. 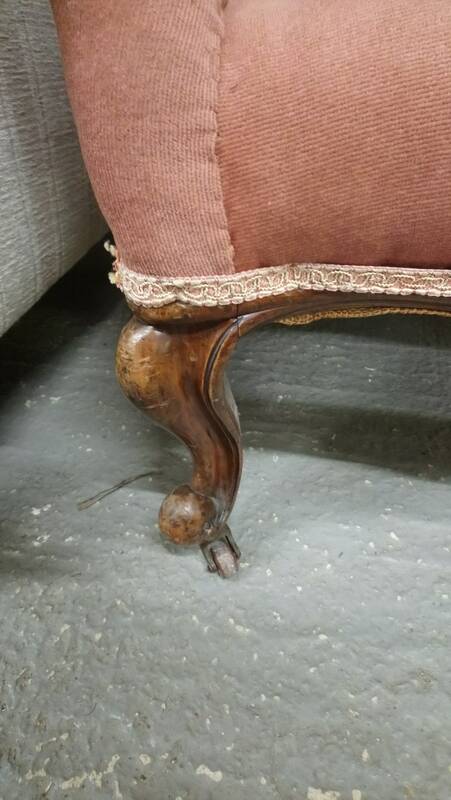 I think the frame is wooden rather than iron back. 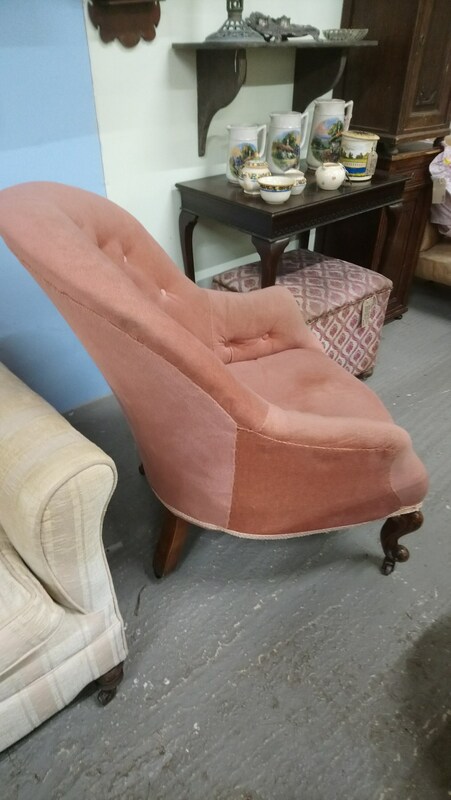 The chair has a buttoned back. 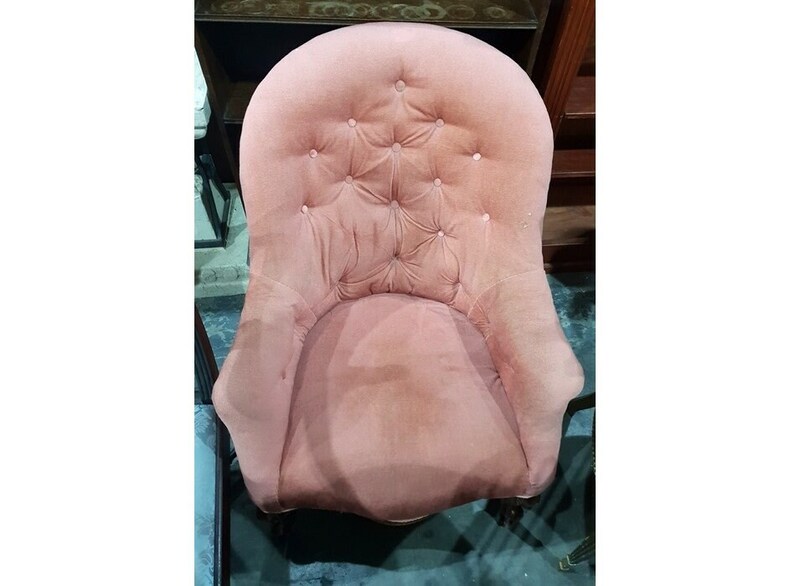 The chair sits on knurl shaped legs with jnchina casters. Our courier service covers most of mainland England and Wales EXCEPT CORNWALL with an average delivery time of 2 weeks. Please send postcode for confirmation of cost and availability. If you would prefer to collect please ask for a custom order. 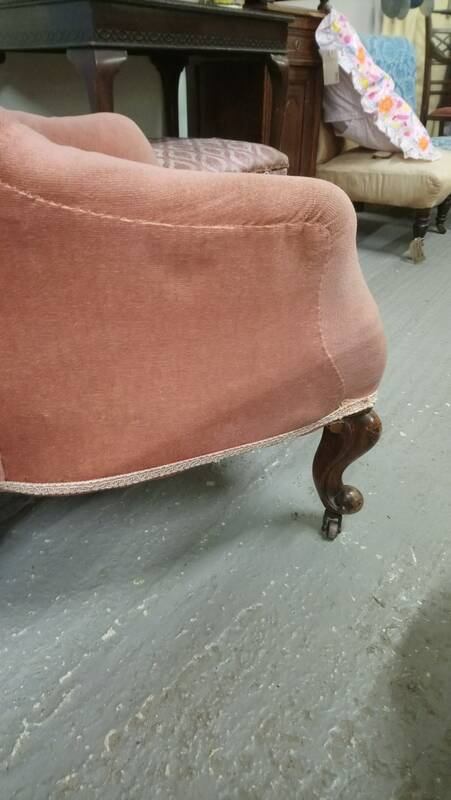 We do not ship offshore or outside of the UK mainland.